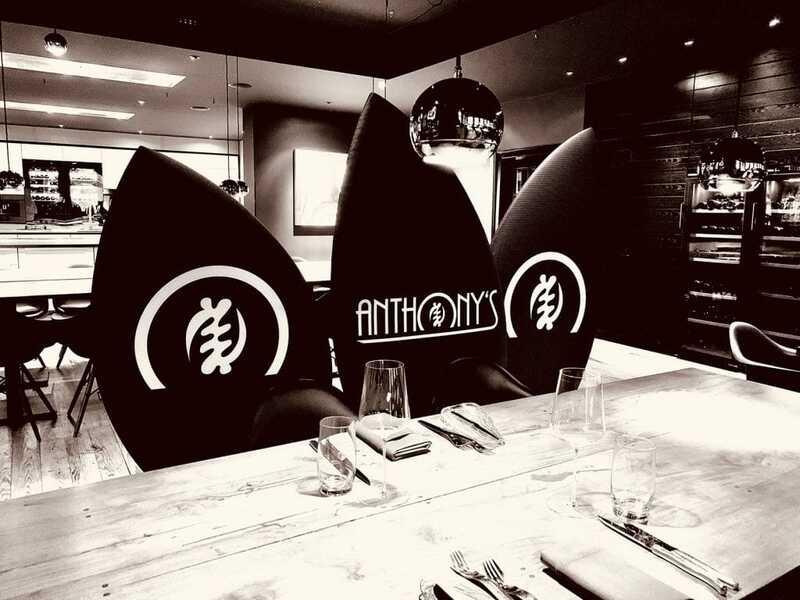 Lovers of the upscale international New Dining Concept experience holistic culinary highlights in “Anthony’s Kitchen” in Meerbusch near Dusseldorf. 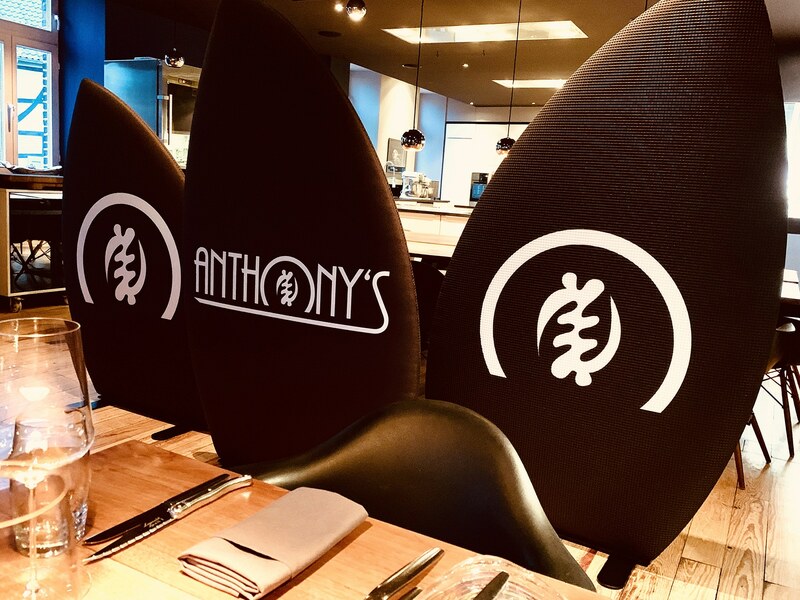 A true feast for the eyes and extraordinary culinary delights Anthony Sarpong, Culinaric Director, creates here with his multicultural team and pampers all the senses of his guests. 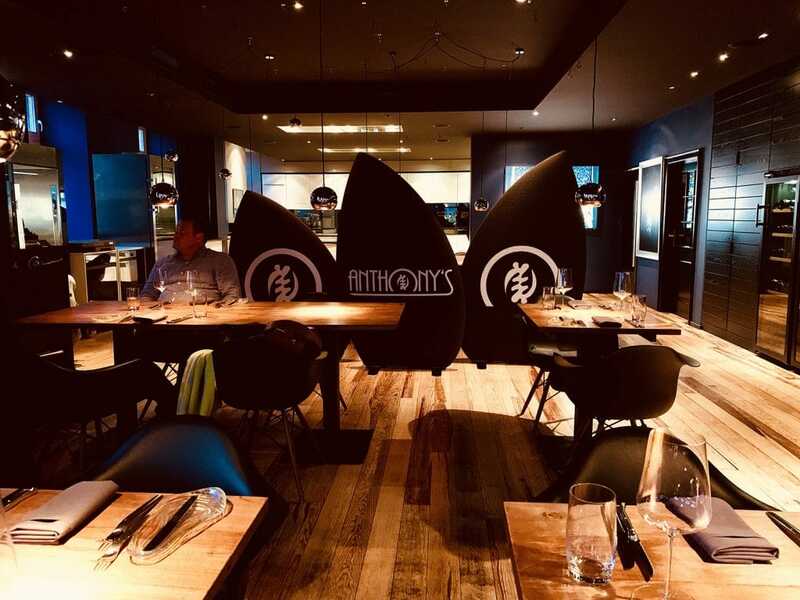 Now they can also enjoy the pleasant sound experience: In the star restaurant, the Soundleaves from PONGS® have found a new home. 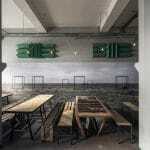 As an acoustic separation of rooms between the cooking school and the restaurant, they are used effectively and reduce noticeably unpleasant background noise. 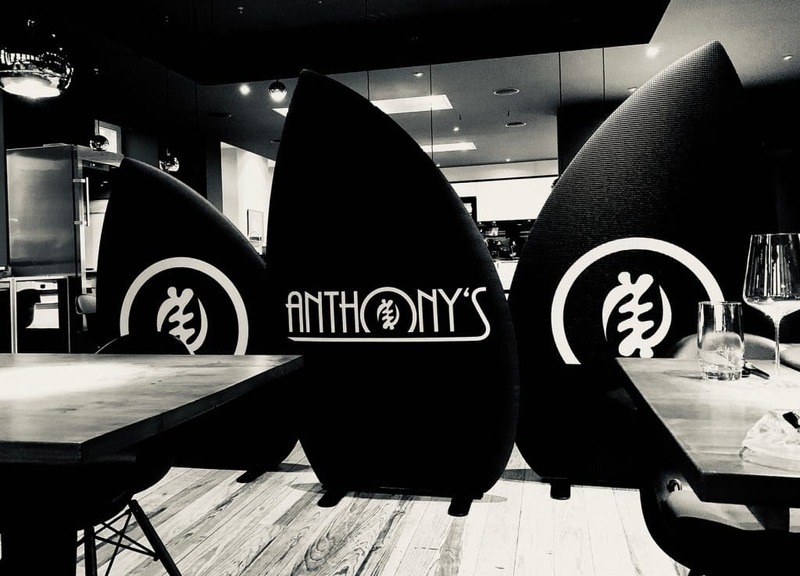 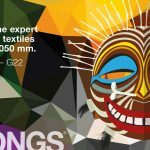 Thanks to their sound-absorbing SILENCIO® and AKUSTICO® textile cover, they balance the sound of the room, swallow ambient sounds and create a pleasantly tranquil atmosphere. 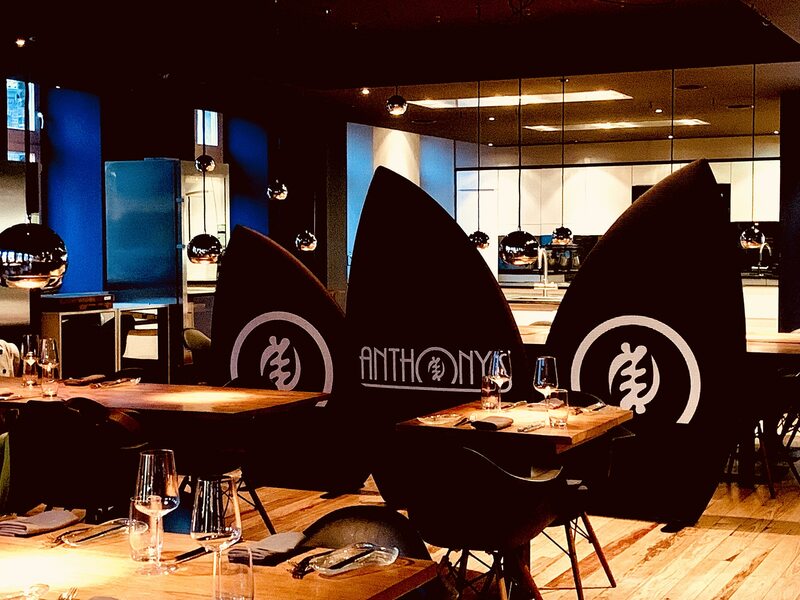 The leaf-shaped elements, inspired by nature, are also visually a great eye-catcher in the restaurant: they not only separate spaces, but at the same time they can link between the two worlds cooking school and new dining. 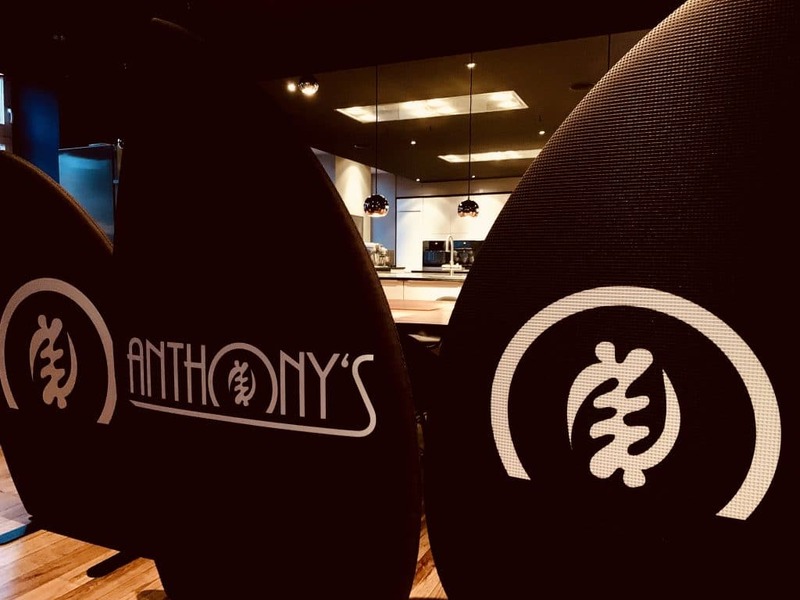 Holistic wellbeing and mindful enjoyment are now even more important in “Anthony’s Kitchen” with the Soundleaves from PONGS®.